There are quite a few tactical backpacks to choose from, so it can be a bit of a problem finding the best backpack for your needs. First of all you need to consider what size and features you need from your new backpack - and after that, you need to check the many different brands to make sure you end up with a quality backpack that doesn't fall apart. Having checked thousands of tactical backpack/military rucksack reviews, we can say that the Direct Action Dragon Egg is the best choice for most people. The Direct Action Dragon Egg got a rating of 4.50 out of 5, while the average rating in the list below is just 3.85. This is the best reviewed tactical backpack/military rucksack. We have checked 10,715 tactical backpack/military rucksack reviews, so we can show you the weighted average rating of all the bags. If the Direct Action Dragon Egg isn't your style, you might also consider the Badlands 2200. The 2200 is a close runner-up with a rating of 4.42 out of 5, but it's often more expensive than the Dragon Egg. The second-best reviewed tactical backpack/military rucksack. Finally, you might consider the Mystery Ranch Urban Assault. The Urban Assault is the third-best rated tactical backpack/military rucksack with a rating of 4.17, but it's often more expensive than the Dragon Egg. The third-best reviewed tactical backpack/military rucksack. 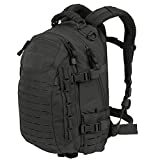 Below is the list of all top 16 best tactical backpacks and military rucksacks. Great if none of the three bags above are your style. PS: We have checked 10,715 reviews to make this top 16 list! Tactical backpacks may have been originally designed for military purposes but they are becoming a lot more requested by the general public. This is because these type of backpacks are durable, hardwearing, and perfect for extreme outdoor activities. Of course, that means that picking out the right tactical backpack requires a little bit more work on your part. To make it easier for you to decide which one you need, we have provided some helpful guidelines. From material and size to special features, we have you covered. Here is everything you need to know. Undoubtedly, one of the most important aspects of any tactical backpack is its ability to withstand grueling conditions and an unforgiving environment. There are two main factors that will affect just how strong and tough, your tactical backpack will be – the material and the weave. There is quite a lot to get into when it comes to the topic of backpack material. This is because the fabric alone isn’t necessarily a determination of the overall strength. For instance, nylon is typically chosen over polyester because it is tougher. This is true when the fabrics of the same deniers are compared with one. This, of course, brings the subject to denier. It is important to understand that denier refers to the weight of the material rather than its strength. As you can imagine, the thicker the material is, the stronger it usually is. So when examining nylon and polyester of the same denier, nylon wins out. However, if the nylon that is being used has a lower denier than the pack made of polyester with a higher denier, the polyester backpack is tougher. So, it is safe to say that it is all relative. Despite this, nylon is what is most commonly used with tactical backpacks. Even here, though, there are two types of nylon to choose from: ripstop fabric and Cordura fabric. Ripstop refers to the design in which nylon fibers are woven into lighter materials. This type of fabric has a diamond or box pattern which can prevent rips from spreading, which is the property that lends its name to the material. This fabric also has an advantage of being quite light despite its durability. Cordura fabric is not necessarily as good at preventing tears as ripstop material. What it is excellent at, however, is abrasion resistance. This means that you can cut down on the amount of wear that your pack experiences, particularly when used in rocky terrain. There is another fabric known as Kodra which is virtually indistinguishable from Cordura. There is only one thing that you need to remember when it comes to choosing the right weave: diagonal weave. Fortunately, most tactical backpacks use a diagonal weave in their fabric. Not only does this weave add strength, it also helps to minimize the wearing away of the pack. Now, the weave that you should stay away from is called the Oxford weave. Quite a few people are tricked into thinking that this weave is superior as it is what is used in vehicle seatbelts. Contrary to popular belief, however, this weave will simply not hold up. You will be able to find tactical backpacks ranging from capacities from around 1520 cubic inches up to 4500 cubic inches. Size and capacity are tricky issues when referring to tactical backpacks. This is because choosing the biggest pack possible isn’t always the best decision. Here, it is best to find a backpack that will only accommodate what you want to carry with you. Therefore, to decide which backpack is the right size, you will first need to determine what it is that you will be taking with you on your journey. Once you have calculated the overall capacity that you need, then you will need to find a backpack that can accommodate it. You should avoid choosing an oversized pack, imagining that it is going to help you out on multiple occasions. First, the larger the pack, the heavier it is bound to be. Furthermore, for tactical backpacks to be easier to carry, everything needs to be tightly secured inside. So, if you have more space than items, they are bound to move around inside, making it more difficult to walk. This is why you should match the capacity and proportions only to what you intend on taking with you. In the same vein as space, you should also think about pockets, compartments, and other storage features of a backpack. As we’ve mentioned above, the only way that a tactical backpack is useful is if everything has its own place and position. Therefore, the greater the number of pockets or compartments, the better. When it comes to pockets and sleeves, you should think about the interior of the pack as well as the exterior. If you are going to need quick access to tools or other items, then look for a pack that has a lot of external pockets. If you want to attach bigger gear or tools, then look for lashings and loops that will allow you to attach this equipment to your backpack. If you want additional external storage look for a MOLLE system. MOLLE refers to the acronym used by the U.S. Military to denote the term Modular Lightweight Load-carrying Equipment. MOLLE features will look like horizontal straps on the outside of the backpack. These have sewn down at intervals to create small loops where you can store your gear. One of the primary things to look at when examining a tactical backpack is the shoulder straps. This is because this feature, to a large extent, will determine just how comfortable your backpack will be. Ideally, you should look for thick straps but those that are compatible with the width of your shoulders. You should also look for padding on the bottom of the shoulder straps so that the material will not cut into you. The next thing that you should look at is the hip belt. The safest way to carry greater weights is to carry the majority of the weight around your hips. This is what a hip belt allows you to do. Look for belts that sit right above your hip bones and that have padding around this area. The sternum or the chest straps provide stability to the bag, particularly for larger packs that need to be held securely against your back. Consider sternum straps that sit several inches below your breastbone to avoid uncomfortable chafing while walking. All of the straps on your bag should be well attached to the backpack, preferably by durable double stitching. This will ensure that it won’t tear even if you pack a greater load. Also, the straps should be adjustable. You will then be able to find a perfect fit for you. A tactical backpack needs to be able to withstand the elements which means that it needs to keep your belongings dry even in a downpour. By itself, nylon may be water resistant to a certain degree but definitely isn’t waterproof. Waterproofing properties are typically achieved by covering the backpack material with other types of waterproof materials or coatings. The fabric, however, is not the only thing responsible for keeping a backpack waterproof. Usually, the zippers are the weakest point on any backpack, especially when it comes to letting water in. This is why any zippers that your backpack does have should be covered in waterproof material. The internal portions of the zipper should also be sealed and protected with waterproof features. If the rain is strong enough or your backpack will need to be submerged for a period of time, it is quite likely that water will get in. As such, the backpack should be equipped with drain holes. These are places through which the water can drain away, making it easier for the pack to be dried. When most people think of tactical backpacks, an image of camouflage material immediately springs to mind. Nonetheless, not all tactical packs have camouflage patterns – there are many that come in black, green, and other colors. It is up to you, whether or not you actually need a camouflage pack. If you are hunting or maybe even hiking and want to stay out of sight, then the camouflage pattern may come in handy. If this is not a concern, you probably will not need one. Hydration System: if you are going to be traveling for long distances in hot weather, you may not want to keep stopping to drink water. In this case, you should look for backpacks with places to put a hydration reservoir and a means to secure a drinking tube on the backpack. This way, you will be able to drink water while on the move. Tear Away Medical Pouches: is there a chance that you may need a first aid kit in a hurry? If so, then you should look for a backpack with a tear away medical pouch. This way, you will have easy access to your first aid kit if you find yourself in a tough spot. Concealed Compartments: if you are traveling with a tactical backpack and you want to secure your important items, then look for concealed compartments. You will be the only one who knows where these pockets are located and will be able to keep money and travel documents there. This is all of the information that you need to have to be able to choose and purchase a tactical backpack that is best for you and your excursions. 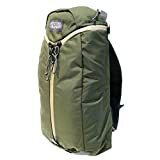 Classic tactical backpacks and military rucksacks and models that haven't yet got enough reviews to be ranked. List ID 9. Images from Amazon Product Advertising API and shop datafeeds.